My favorite thing to do in Paris is not going to the prestigious museums, walking around the charming Parisian streets, or eating the delicious food; it just so happens to be a drugstore in the 6th arrondissement. Now don’t get me wrong I love looking at the art, meandering through the streets, and eating as many croissants as I can justify, but if you are as obsessed with skincare as I am you will understand why my favorite place to go in Paris is a drugstore named Citypharma. For those of you who are rolling your eyes while reading this, let me justify. Citypharma is unlike any drugstore in the United States. I would be absolutely shocked if there is a drugstore in the US where there are wall to wall people at all times during the day. This is a place that is so popular that you can get stuck in one spot for what feels like an eternity because 5 people refuse to leave the section they are in until they grab one of everything on the shelf. Citypharma is a sight to behold because it is like no other, yet I am sure some of you are thinking if it is so crowded all the time why would you want to go?, and the answer to that is the amount of money you can save. 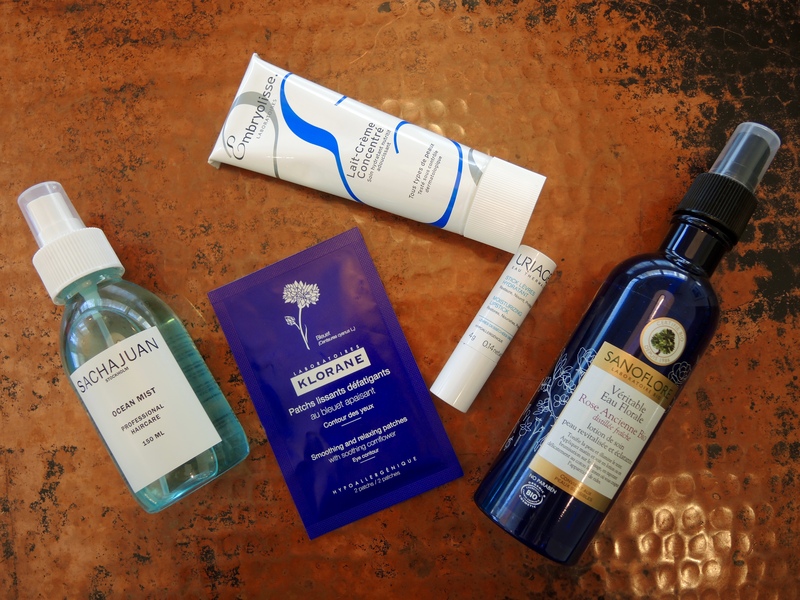 Throughout this exceedingly long post you will get a glimpse at how affordable French Skincare is when you buy it in France as opposed to the United States where in comparison it costs a fortune. All of the products listed below have been converted from euros to dollars (the current exchange rate being €1=$1.07) and I have also added links of where to purchase these products in the US with that price listed as well. La Roche-Posay is one of my favorite French Skincare brands because they are formulated for sensitive and problem skin. They have products for every problem you might have, and I find their products to be some of the most effective on the market. 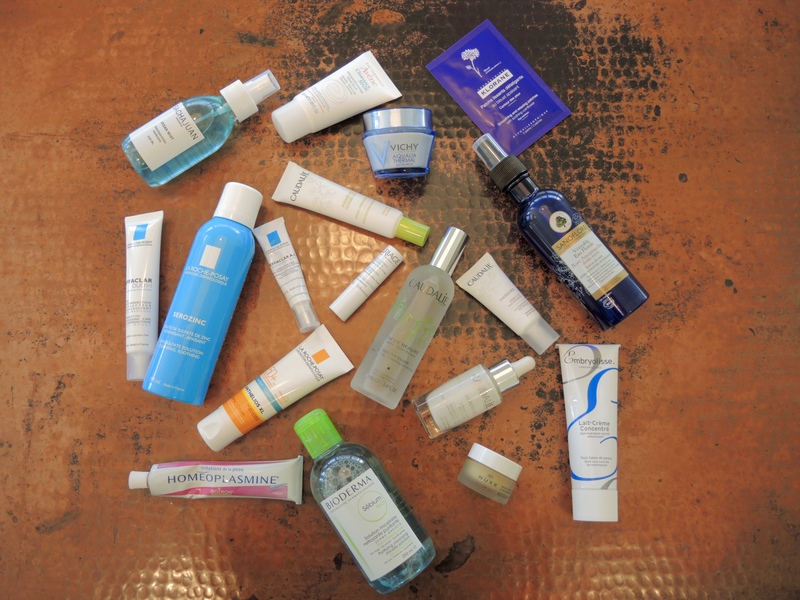 All of the La Roche-Posay products listed below are my absolute favorites but unfortunately they have ingredients that have not yet been approved by the FDA and therefore are not available in the United States. However I have found links for all of the products on feelunique.com (a UK website) where you can purchase these products with shipping costing around $6. Effaclar Duo+ $9.39 ($24.03 on feelunique.com) is an excellent acne clearing treatment. I really like that this clears my skin rapidly and doesn’t dry out my skin. I tend to use this at night to make sure I’m not using too many acne clearing products at a time. Anthelios XL Comfort Cream SPF 50+ $11.65 ($24.03 on feelunique.com) is a great everyday sunscreen. I spent a long time trying to decide between the Comfort and the Dry Touch version, and because winter is nearing I decided to go with the more hydrating one. I also like that the extra hydration doesn’t effect how long my makeup lasts. Effaclar A.I. $7.47 ($17.05 on feelunique.com) is a spot treatment that isn’t as effective as Kate Somerville’s EradiKate (review here), but I like that it doesn’t have the heavy sulfur scent. It still goes a great job but don’t expect large blemishes to disappear over night. Serozinc $5.24 ($13.18 on feelunique.com) is a facial spray that limits oil production and clears acne. I like to use this in the morning right after my cleanser because it feels very light on the skin and helps makeup to last longer. Caudalie is a really great brand to try if you are looking for effective anti-aging products. Their skincare line’s main ingredient are grapes, which are known for their powerful antioxidants which have excellent anti-aging properties. Première Vendanges Moisturizing Cream $14.75 (in USA $35) is very popular with makeup artists and models because it moisturizes the skin, adds luminosity, and is the perfect prep for makeup. It also works for all skin types and doesn’t leave my oily skin feeling greasy. Beauty Elixir $29.06 (in USA $49) is a facial spray that is in no way necessary, but is a wonderful addition to your collection. This is a product that is loved by makeup artists because it can be used to prep the skin before makeup, throughout makeup application to keep the skin looking fresh and dewy, to set makeup, and as a pick-me-up during the day to keep makeup looking newly applied. Vinoperfect Radiance Serum $40.50 (in USA $79) was the best deal I found in Paris. I’ve had my eye on this for a while but was always put off by the price, but let me tell you it is worth even the higher price. This is because it is the ultimate corrector; if you have sunspots, acne scars, or any other kind of skin damage, this is the perfect solution. Another bonus is that it makes your skin look luminous. Vinosource S.O.S Morning Eye Rescue $16.03 (in USA $34 0.5oz) is a pretty standard eye cream, as it solves the same problems as most others on the market. You can expect this to moisturize and make your eyes look less tired and puffy. One reason to look into this particularcream is if you have sensitive skin. Vichy products are formulated with Vichy Thermal Spa Water, which is naturally rich with a high concentration of 15 rare minerals known for their soothing, protective, regenerating, and anti-oxidant benefits for the skin. Aqualia Thermal $16.98 (in USA $31) is a rich cream moisturizer infused with Vichy Thermal Spa Water that is meant for dry to normal skin types. I personally have oily skin but I decided to purchase this for days when my skin is extra dry (happens a lot in the winter), after using clay masks, and for when I travel overnight on a plane. 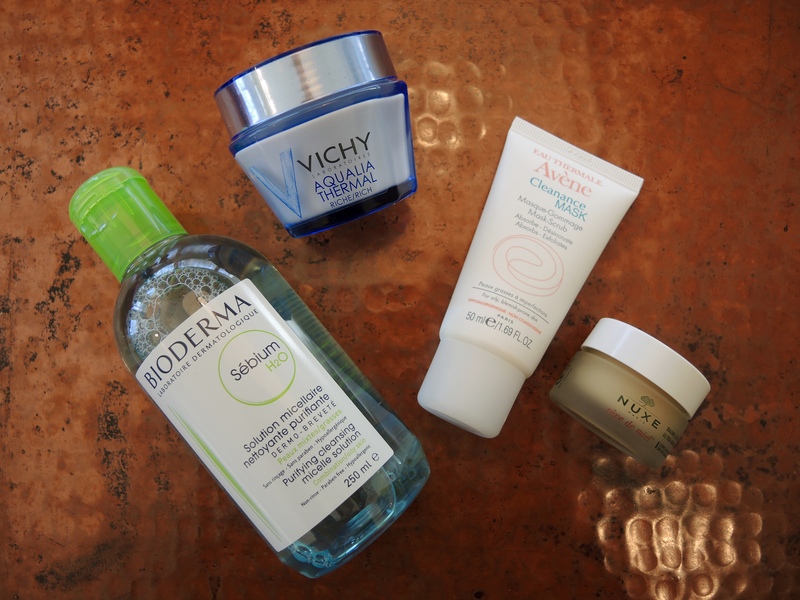 Bioderma is famous for their micellar water. Micellar Water was created to help French women keep their skin healthy in the 90s when France had especially harsh water. Now a days it is beloved by makeup artists and models for its powerful cleansing and makeup removing abilities without irritating the skin. Sebium H20 250ml $6.36 (in USA $12.95) is the combination/oily version of Bioderma (don’t worry there is one for every skin type) that I like to use as my morning cleanser. I love that this clears away any oil or grime that my skin picked up overnight without irritating my skin. Definitely a good product to try if you have sensitive skin or if you are wanting a simpler but still effective cleansing routine. Avène is another French Skincare company that infuses their products with thermal spring water. Avène is also the best french skincare brand for those with sensitive skin, because they have effective products that never irritate. I didn’t buy any this trip (I already have a stock pile), but if you are new to Avène you should definitely try their cult product, Thermal Spring Water. Clearance Mask $9.61 (in USA $22) is the only Avène product I purchased this trip, and I decided to try it because it exfoliates, clears acne, and limits oil production. So far I really like it and am excited to have something that I know won’t irritate my skin (despite being an exfoliant). Rêve de Miel $6.92 (in USA $19) is in my opinion the best lip balm on the market, because it can solve any chapped lip conundrum. I love that this can be used morning and night, because it is moisturizing enough to use as a treatment but has a matte texture so it can still be worn under lip stick during the day. Sachajuan Ocean Spray 150ml $19.23 (in USA $31) is another product that I’ve had my eye on for a while. I really like this because it gives hair texture and volume without making it look crazy. I like to apply this onto my hands and then work it into my hair, I find this process gives me more control and spreads the product more evenly. Embyolisse Lait-Créme Concentré $11.97 ($28 for 2.54oz) is a great multitasking product (and another makeup artist obsession), because it can be used as a moisturizer, primer, and makeup remover. I like to use this a moisturizer/primer because it hydrates my skin and helps my makeup last longer throughout the day. Stick Lèvres $3.62 (in USA $14.70) looks like a standard nothing special lip balm, but inside it’s less than interesting package is an excellent product. I really like the texture because it feels very nice on the lips and leaves them hydrated (even when they are horribly chapped). I like to leave this is my purse to apply whenever my lips need more hydration during the day. Organic Ancient Rose Floral Water $6.40 (in USA $27) is a rose infused facial spray that will hydrate the skin. I like applying this after using a cleanser and before applying treatments because the skin feels more hydrated and looks luminous. Klorane is known for their haircare products, especially their Dry Shampoo which is loved by celebrity hair artists. I’ve used quite a few Klorane hair products but I’d never tried their skincare, but when I came across them at Citypharma I thought I’d give it a try. Smoothing and Relaxing Eye Mask Patches 7X set of 2 patches $12.29 (in USA $21) is a really good soothing eye mask to try if your eyes are looking especially tired and dehydrated. I like to use 1-2 sets per week depending on how tired my eyes look, and even after using just a few of these sets I’ve noticed my eyes look far more rested. As you can see I purchased a lot of skincare while in Paris, and I would recommend every single item. As you can see by the numbers shown below French skincare is significantly less expensive when purchased in France. Now I am not suggesting that you fly to France for the specific reason to purchase skincare (as you wouldn’t be ahead financially), but if you happen to be lucky enough to visit I do recommend that you take advantage and save some money.